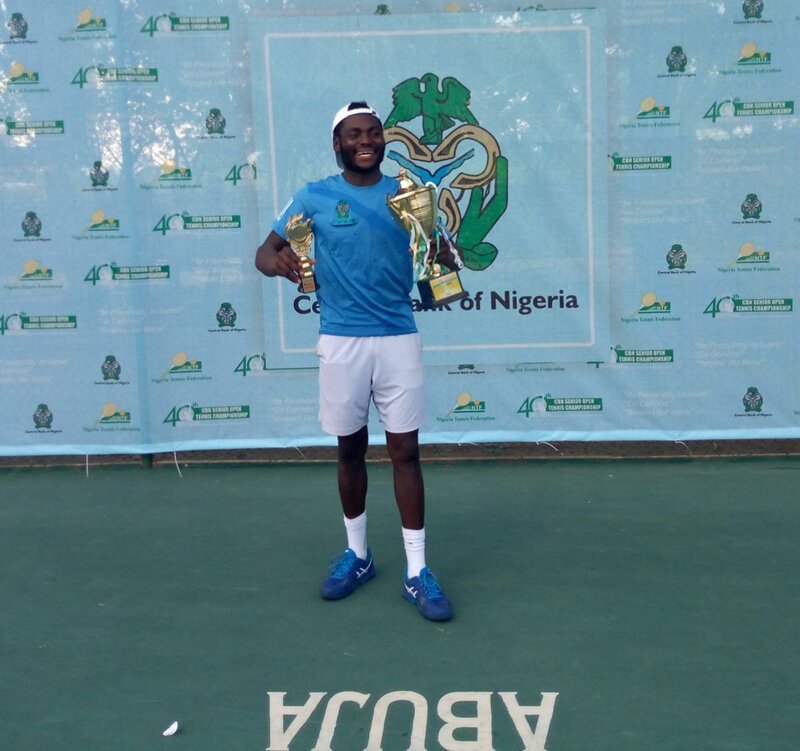 Spain based Nigerian Tennis player, Sylvester Emmanuel, yesterday, dethroned the Central Bank of Nigeria (CBN) men’s singles defending champion, Abdulmumuni Babalola when he came from one game down to beat him 3-6,7-6 on 3, 6-4 in the final to emerge as the new champion. In the same vein, Sarah Adegoke outclassed former champion, Christy Agugbom by beating her 4-6, 7-6, 6-0 to retain the trophy she also won last year. Both champions smiled home with N700,000 each plus the 40th edition giant trophy that goes with it. Agugbom paired with Blessing Samuel to win the women’s doubles title by beating the duo of Rose Abu and Bukola Olowu 6-3, 5-1. Babalola and Shehu Lawal combined effectively to win the men’s doubles tile at the expense of Philip Abayomi and Michael Osewa whom they defeated 6-2, 6-1. Governor of the Central Bank of Nigeria, Godwin Emefiele, who was represented by the CBN Deputy Governor, Corporate Services, Edward Adamu at the grand finale, commended both the players and other stakeholders for keeping fate with the Championship and assured that the tournament which remains the apex tennis tournament in the country has come to stay.